“Life isn’t as serious as the mind makes it out to be”. New Years’ Resolutions have a reputation for setting you up for failure more often than not… When I did a Bing internet search for “failure+New+Years+resolutions” it returned 18,000,000 results! Can being grateful everyday have the same failed outcome? Gratitude would help you to achieve these and more. Do New Years Resolutions provide these benefits?Can you achieve Resolutions successfully without gratitude? No. So, let’s then begin to refer to resolutions and Gratitutions and provide a frame of success and encouragement to achievement of goals each year! As each New Year begins, how do you recognize it if you are celebrating the things you are grateful for from the previous year, and then creating an action plan for gratitude for the New Year? If you aren’t setting new goals, as some choose to do, many unsuccessfully, with resolutions, on January 1st, what will you do instead? On New Years Eve or New Years Day gather with your family and/or friends and create Gratitude Jars. Once a day, several times a week, once a week (on a Sunday, perhaps)… you decide… write what you are grateful for and place it in your jar. The following New Years Eve or Day, gather together and read all of the things you were grateful for throughout the year. Then , start your jars again the next year with a celebration of gratitude, and continue to practice GRATITUTIONS! It’s a Gratitude Jar, but in a box! This is what we did this year as a family,with a few of our daughter’s friends, on New Years’ Day. Similar to the Gratitude Jar, just a different format… It’s a book instead of a jar! You can write in a Gratitude Journal every day or once a week. You can list three things you are grateful for, or you can write a story. This is your journal. Again, just as you do with the Gratitude Jar, celebrate GRATITUTIONS on New Years Eve or Day with family and/or friends, each year! Be creative and create your own!!! So what is the benefit of Gratitutions versus Resolutions? New Years Resolutions focus on what you do not have, what you have not yet accomplished, failures… each New Year. New Years Gratitutions focus on what you already have, what you are grateful for from the previous year, and how you can continue to build on that successfully and positively to achieve new goals each New Year. Which one do you choose to ring in the New Year with this year? I know which one I’m choosing… the soon-to-be-famous, GRATITUTIONS! Wishing you a joyous 2016 and a New Year filled with an abundance of gratitude! This New Years, instead of making “resolutions“, why not change it up and make “GRATITUTIONS“? What are gratitutions, you ask? Well, first of all, let’s be honest, I made up the word… but it will soon be famous, I’m sure of it! New Years Gratitutions are a soon-to-be tradition. You reflect on the things you are grateful for from the past year, and create an action plan for gratitude for the New Year; rather than setting new goals, referred to as resolutions. Why, you ask? According to John Norcross (Journal of Clinical Psychology), approximately 50% of the population makes resolutions each New Year. Some of the most popular resolutions are: quitting smoking, weight loss, exercise, better money management and debt reduction. “Cultural Procrastination”, an effort to reinvent oneself; this is Timothy Pychyl‘s definition of resolutions. As a Carleton University psychology professor, he believes that although people make resolutions as a way of motivating themselves, they aren’t usually ready to change their habits. Thus the high failure rate of resolutions. I believe unrealistic goals and expectations are another contributing factor. Discouragement from goals not being met as easily or quickly as anticipated can lead to old behaviours returning. To change a behaviour, you have to change your thinking! Gratitutions allow you to see only the positive by being grateful for things, big and small, hourly, daily, weekly…. If your mind is focused on the positive, and the abundance that surrounds you, it is much easier to achieve a goal! Resolutions on the other hand, focus on the opposite, what you do not have, what you need, what you have not yet accomplished, what you lack, … this is discouraging and not conducive patterning to change behaviours over the long-term. Hence, New Years resolutions are famously known to fail. Focus your thinking on successes and how you can continue to improve upon them, such as with my proposed, Gratitutions. In order to create new behaviours and thought patterns, you must create new neural pathways in your brain to change habits and behaviours; do this in a way that allows you to be positive, present, and mindful. Do not live in the past (except to build upon positive experiences for which you are grateful) or future. Be aware of your physical, mental and emotional present state, and pause and be grateful for it. Use gratitude as your encourager, and you can achieve anything! Be kind to yourself, practice gratitude, check back before the New Year for Part II! Being grateful turns what we have into enough and more! Gratitude unlocks the fullness of life. Endless… the Benefits of Gratitude! How can being more grateful benefit you? I will put a personal spin on this! I believe that I have always appreciated the life I have, and the goodness and love and benefits I was provided throughout childhood, my youth and early adulthood. However, it wasn’t until I was presented with more evident struggles, that I really became familiar with the benefits of gratitude, and how gratitude alone can keep your head above water some days. My late husband fought the demons of severe Post-Traumatic Stress Disorder, which progressed to Borderline Personality Disorder before he took his own life; and although he loved our daughters and I, those demons affected all of us. Our youngest daughter, internationally adopted at age 3, also fights her own demons. She suffers from severe mental illness as well, due to horrific early childhood trauma. She has psychopathic/sociopathic tendencies, Reactive Attachment Disorder and Complex PTSD. To say our household was stressful for many years, is an understatement. Gratitude, which I encourage in our girls as well, provided resilience, happiness for us and a sense of stability that could not have existed otherwise. It benefited us, particularly myself, as I was old enough to understand it, emotionally/socially/physically. Emotionally, it allowed me to be more resilient, more relaxed, hold onto happy memories, have more positive feelings than negative ones. Socially, it made me less self-centered, less materialistic, more optimistic, increased my self-esteem, helped me to achieve goals, be kinder, strengthened relationships, promoted forgiveness, made me more helpful, altruistic, compassionate and empathetic, . What does Krista mean by gratitude??? Is this what you are asking right now? How can this word, gratitude, provide stability in the midst of a storm? How can it provide all of these benefits and so much more? Gratitude is simply appreciating the little things (and sometimes the big things)! It is not looking for extraordinary things and celebrating grand events, holidays, vacations, parties, accomplishments and trying to hold onto those memories. What are some of the little things we can be grateful for? What if you noticed things like these, 3 times a day? Now 10 times a day? Now 25 times a day? Recognize that there is joy everywhere and do not allow pain and adversity to overshadow it. What if you always stopped to pet that dog, smell that flower, listen to your favourite song? What if you always did that, for you? Would you not feel happier and more resilient to the things that are not as appealing? I don’t know the things that make you happy… Think about them. Really think… even make a list if that helps to get you started. I, personally love dogs, textures, food smells, food, coffee, kids, babies, people, laughing, smiling, bright colours, oceans, sunshine, turtles, all animals (except jungle cats, I’m not a huge fan as they prey on some of my favourite animals), artwork, architecture, books, I could go on and on. I always try to take the time to appreciate my passions, the things that make me happy, and to be grateful for them. Now, consider this… being grateful doesn’t just benefit you. If you stop to pet a dog, interact playfully with a baby, smile at a stranger, appreciate an artists’ piece of art… you are also filling their bucket with gratitude and thus joy and happiness. The benefits of gratitude are simply endless! Gratitude is a Choice… I’ve Made It, Have You? Do you find yourself in what feels like an uncontrollable downward spiral of misfortune, bad luck, resentment, failing relationships, emotional instability, pessimism, decreased self-esteem, or decreased energy? Do you feel like things don’t usually go your way? Do you frequently question how others can be so lucky? Do you resent them for their good fortune? Do you want to improve your physical health or reduce anxiety/depression through exercise or a better sleep routine? Do you want to achieve a goal or increase your productivity? Even if you only answered yes to one of these, you can benefit from increased gratitude. Gratitude opens the door to an abundant life! It turns what we already have into enough and more. Over the past decade, researchers have really begun to delve into studying the benefits of gratitude. These studies have documented the social, physical and psychological benefits, and these benefits are within reach to most anyone who practices gratitude, despite adversity. To begin practicing gratitude, is a choice. To make any change in your life is a choice. Are you ready to practice gratitude? Are you ready to make this change? Then make the choice…choose to practice gratitude. Unlock the fullness in your life and allow gratitude to create clarity for today and a vision for tomorrow. Gratitude allows you to see the positive through the negative, the calm through the chaos. Choose to see what you already have as enough. Open the door to YOUR abundant life! As I sit here having breakfast in southern Texas, y’all, I look out of a restaurant window and can see snippets of the ocean. As wonderful as this is, you know what I found more exciting? You guessed it – one of my fave songs from the 80’s (I have many) appeared on the radio station – Heaven by Warrant. Isn’t it interesting and wonderful how joyous moments can appear anywhere you are? We’ll get back to this thought in a moment. As human beings we have the ability to make a conscious choice to embrace life. It’s almost magical how fear, anxiety, anger, etc seem to diminish when you are “in the moment”. Now, embracing life can mean different things to different people. I don’t suspect hearing Warrant on the radio is an absolute joy for many of you as it is for me and I’m ok with that. I’m me and you’re you. More on this shortly. Embracing life is really about showing up for life, accepting life as it is (suspending your judgment), learning from your mistakes, and then making better choices every day because you learned from your mistakes…right!?! and most importantly accepting who you are! You are beautiful…YES YOU! Embracing life has many different facets. This blog has covers several different areas of life that we will fully explore in the near future. 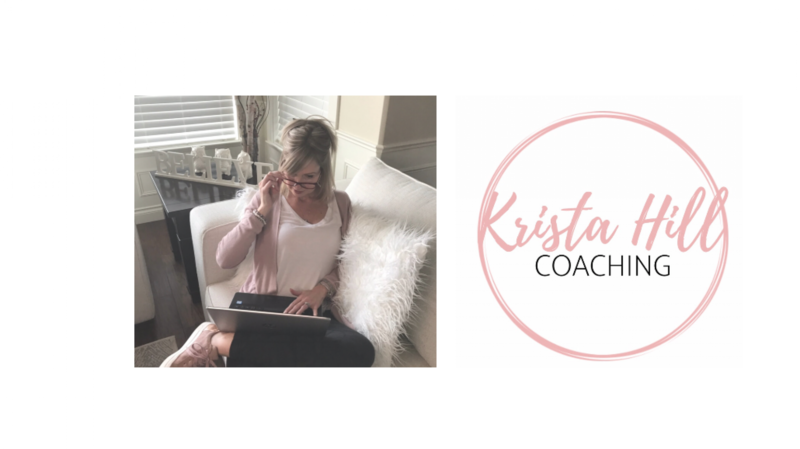 Krista and I plan on taking you along on a wonderful journey as we explore and hack life. Please stay tuned for more exciting content! If you have anything to add to this or any general questions on embracing life we would love to hear from you. We are all in this together. Gratitude: It’s a National Holiday… Check Your Calendar! In North America, we recently celebrated Canadian Thanksgiving, Remembrance Day, Veterans’ Day, and now American Thanksgiving is just around the bend. What do all of these celebrations have in common? We express “GRATITUDE”. On Thanksgiving, it is customary, to gather with family and friends and give thanks traditionally for the harvest of the preceding year and the many wonderful blessings and benefits we enjoy. Remembrance Day and Veterans’ Day, both on November 11th each year, are memorial days observed since the end of the First World War to remember and honour the members of the armed forces who sacrificed their lives, and died in the line of duty. GRATITUDE… One upcoming and three recent national holidays, on the North American calendar, that make us pause, take time out from weekly and daily routines, to remember and be grateful. Do you take the time to acknowledge gratitude in your daily life when it isn’t on the calendar? Do you discuss thankfulness around the dinner table with family and friends more than once or twice a year? Think about it… how often do you reflect on the meaning of gratitude in your life? Have you ever wondered how important gratitude is to your happiness, well-being, your growth as an individual? Can anything new truly come into your life if you are not grateful for what you already have? ‘Perpetual’… Thoreau’s gratitude occurs repeatedly; it is continual, neverending, sustained, relentless. Gratitude can change your view of the world! It is that powerful! Gratitude can change negativity to positivity, sadness to joy, scarcity to abundance, and so much more. If we are simply grateful for who we are, and what we have, not only can it turn what we already have, into enough; but, it can also attract more good things to come our way. Allow yourself to enjoy those blessings. Set aside your complaints and be grateful for what you do have. Stop looking for what is missing. Life isn’t about always having everything you want… Want what you already have. And be grateful for it. Always. Remember, the things that you take for granted, someone else is longing for. Be GRATEFUL everyday, not only when gratitude is on the calendar. You WILL see positive change. You can stop searching, you aren’t lost! Start to look within, to reach your goals and realize your dreams! You have everything you need to create the life you dream of.